CLICK HERE to register or login to the system. Click ‘Register’ and enter your information to create a new account. In order for your Registration to complete, you need to confirm your email address. Make sure to check your Spam/Junk/Clutter Folders! Access your own medical records and lab results. The DAYTIME clinic is by appointment only. 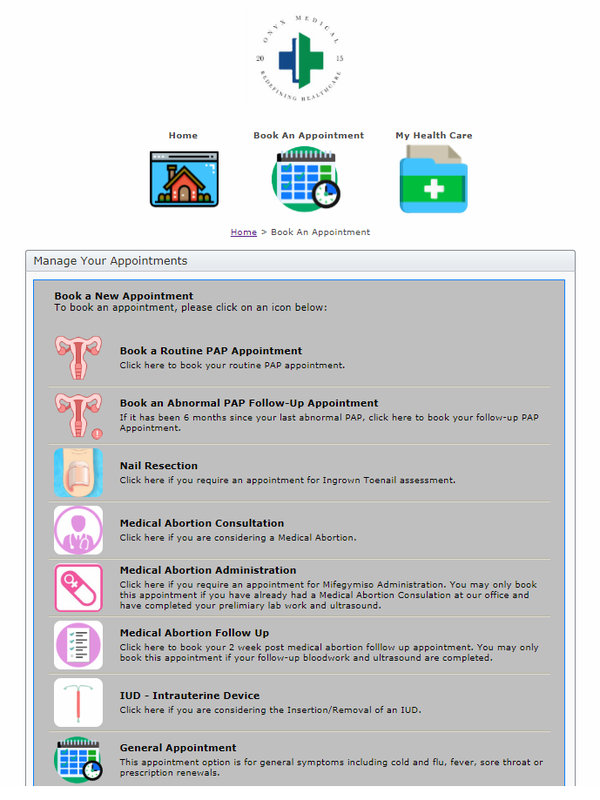 Through the portal, you can book specific appointments, such as Sexual Health testing or Immunizations, or just a General appointment for other common complaints, such as coughs, colds, bladder infections, etc. Walk-in visits are only available during our EVENING clinic. 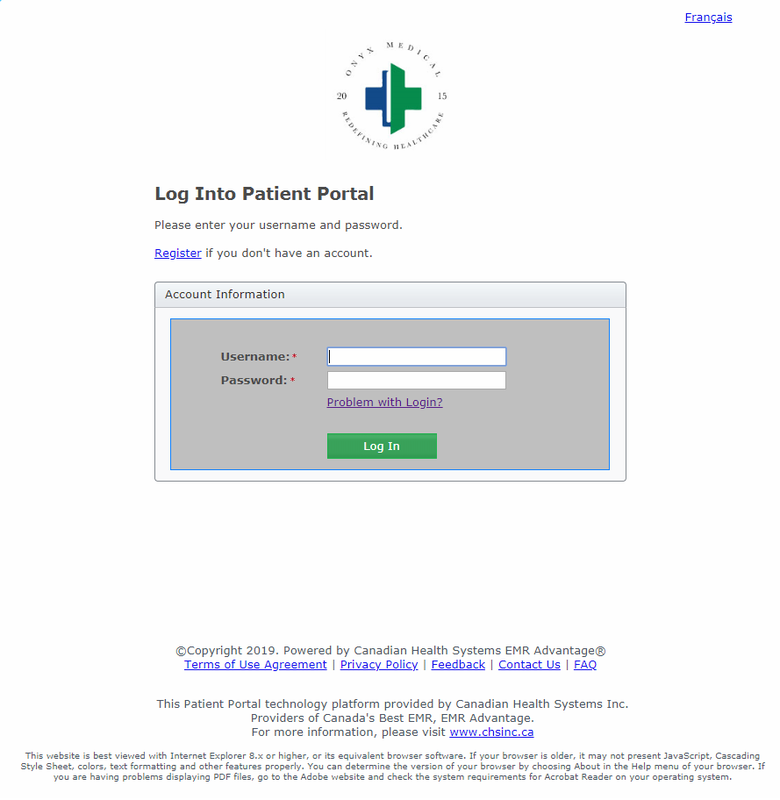 Please request access to your Patient Portal account at your next appointment. You can register for the Patient Portal even if you have never been a patient at our clinic, but in order to view test results and change/modify appointments, you must sign a Patient Consent Form in person at our clinic. An email alert will be sent to you when your results are on Patient Portal. Your results will appear under the Results icon. You will need to follow these steps every time you’re tested and want to retrieve your results from Patient Portal.